click here to make your reservation without a promo code. 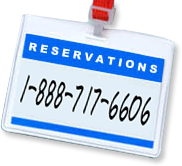 You must call Perimeter directly for reservations within 48 hours. Reserve your bus transportation to Whistler Blackcomb securely online. Book your group's custom bus charter with Perimeter. Nestled between the majestic coastal mountains and the tides of the Pacific Ocean lies Vancouver, a city that attracts travelers from around the world who are drawn to its spectacular scenery and energetic lifestyle. 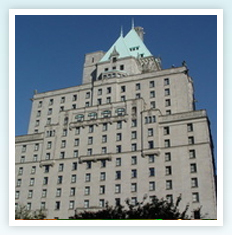 At the very heart is Vancouver's landmark, The Fairmont Hotel Vancouver. Like the city that surrounds it, it is rich in history, resplendent in natural beauty, vibrant and cosmopolitan. a state-of-the-art health club, award-winning restaurants and an array of designer shops in downtown Vancouver. Discover The Fairmont Hotel Vancouver in the dynamic and scenic metropolis of Vancouver on Canada's west coast. Vancouver's natural scenery provides the ultimate backdrop to a city rich in architecture and modern culture. And there's no better place to start than gargoyle-gazing at the city's Grand Lady, The Fairmont Hotel Vancouver.